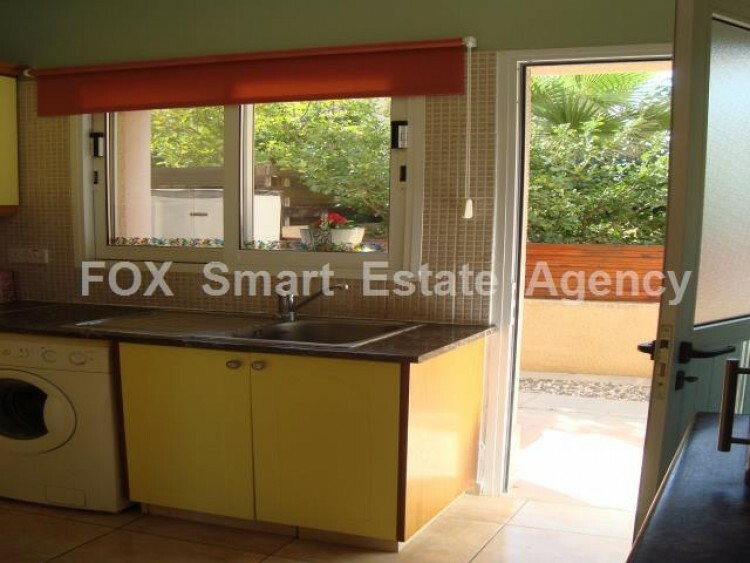 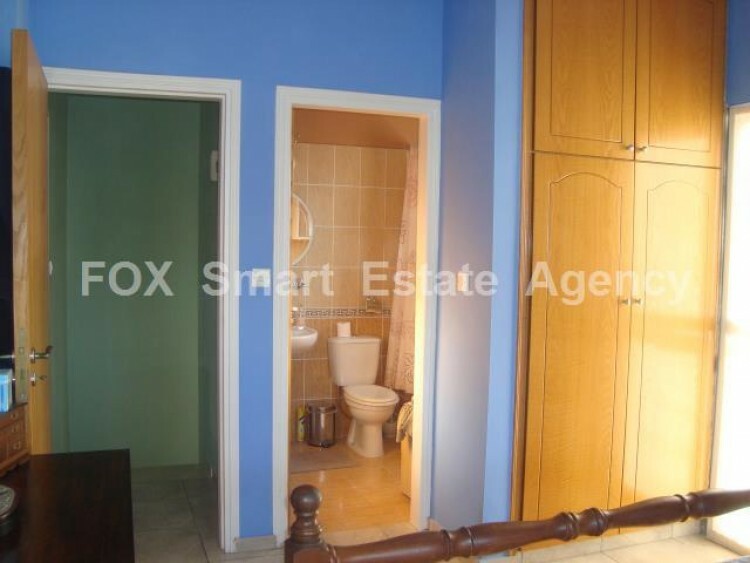 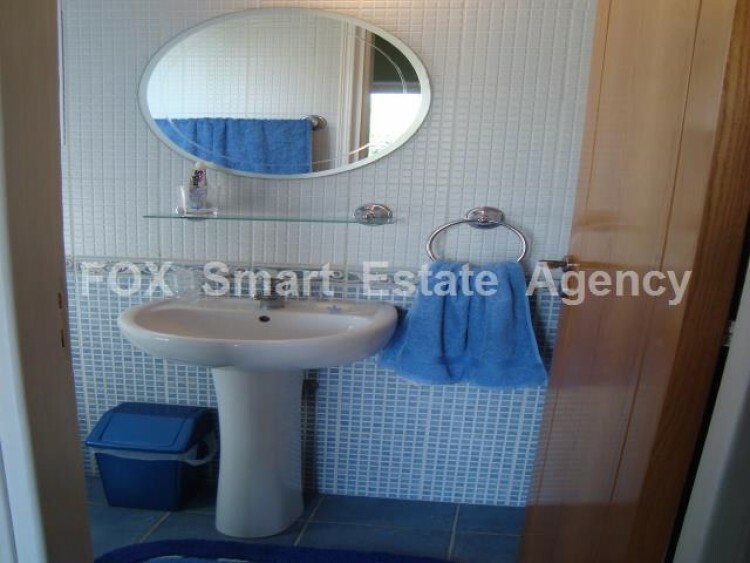 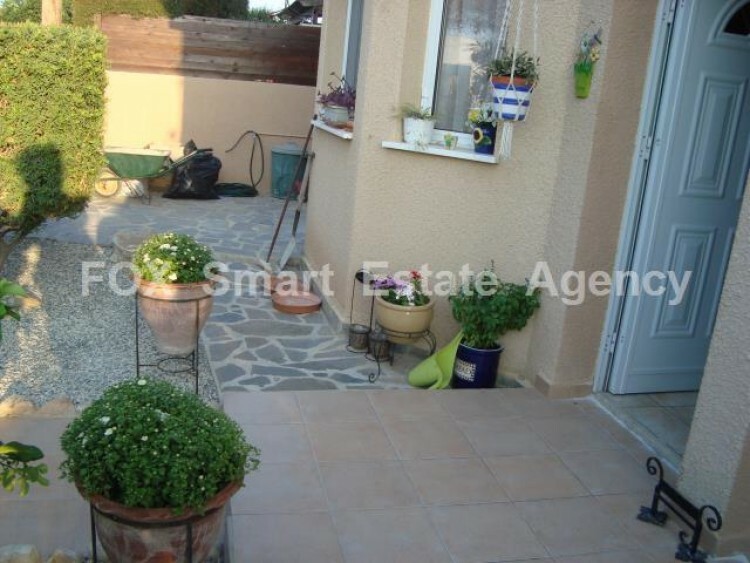 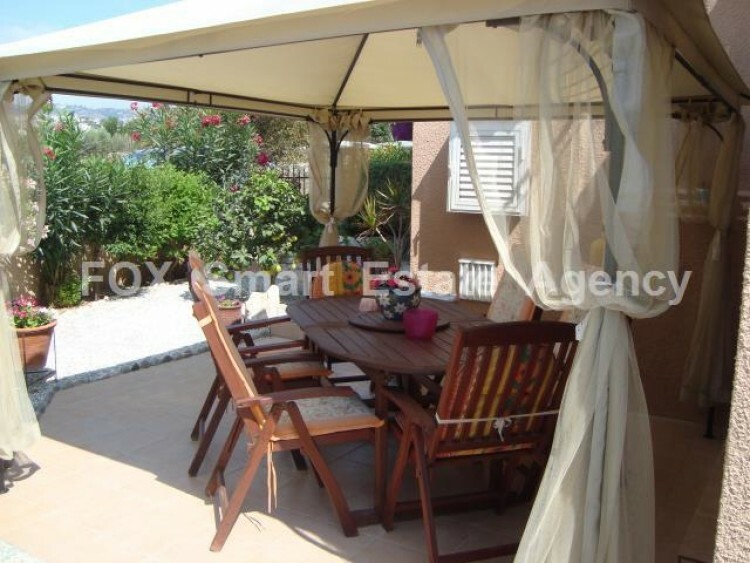 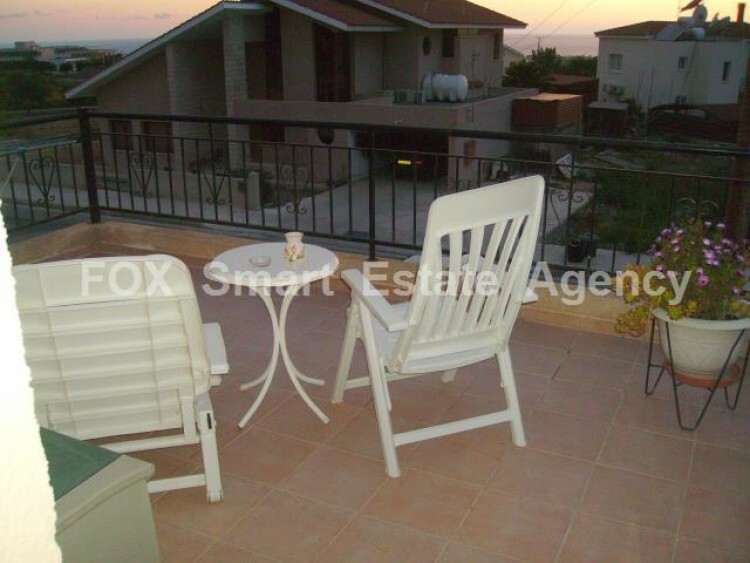 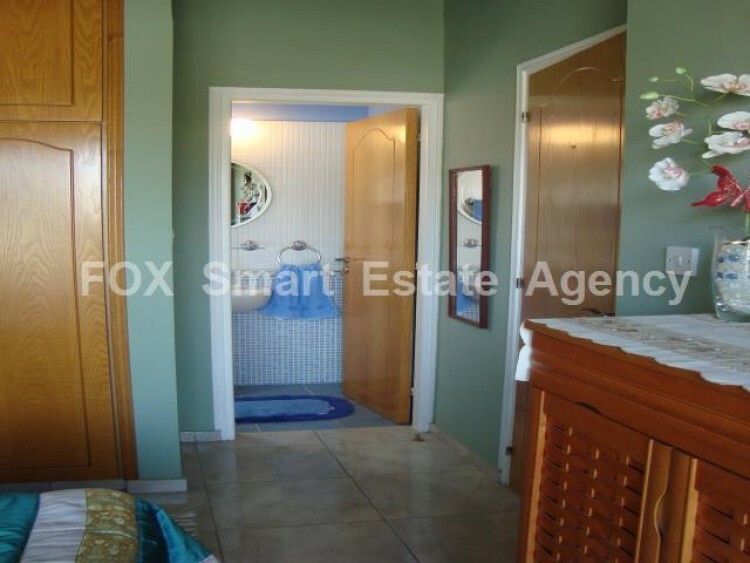 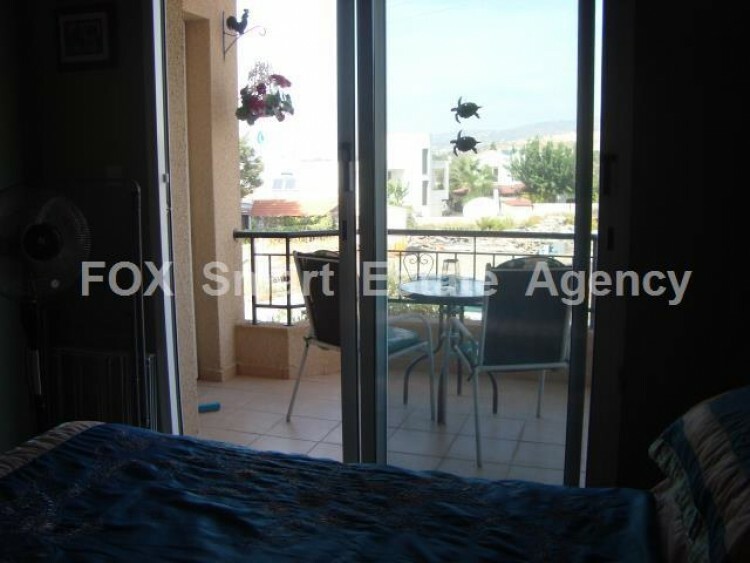 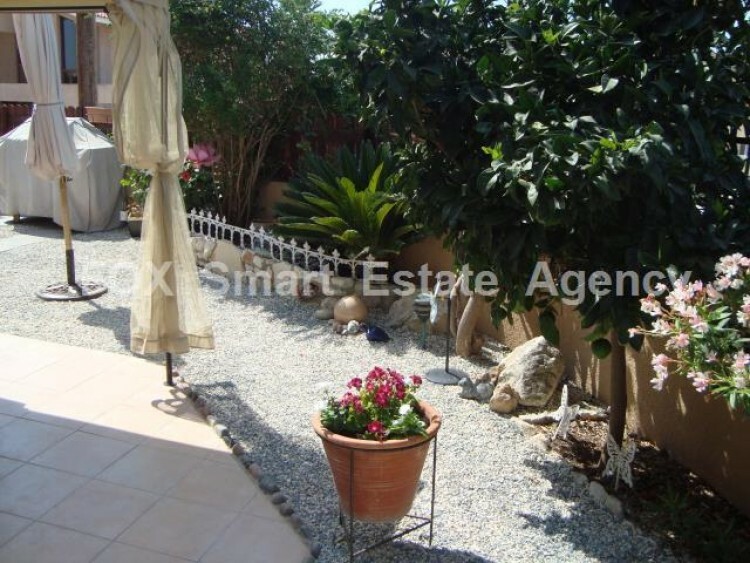 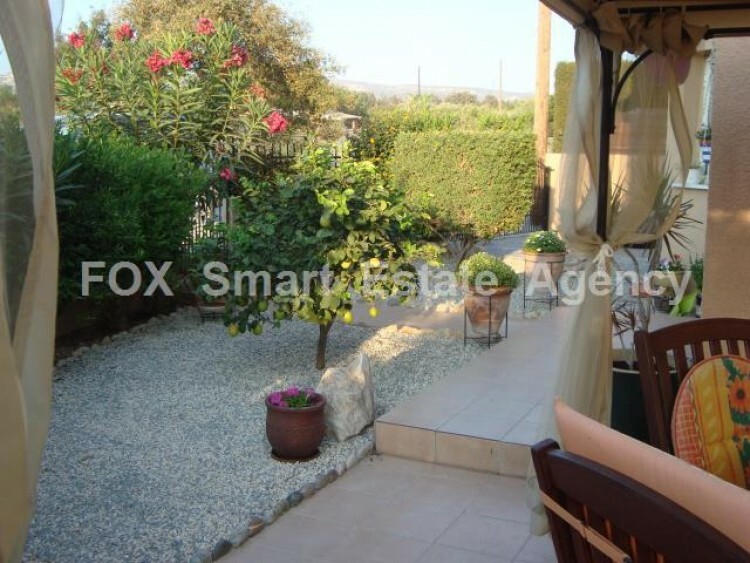 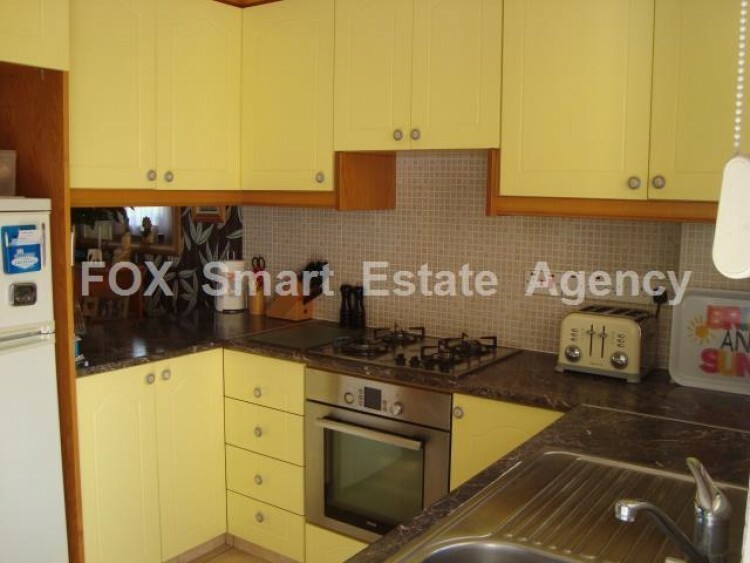 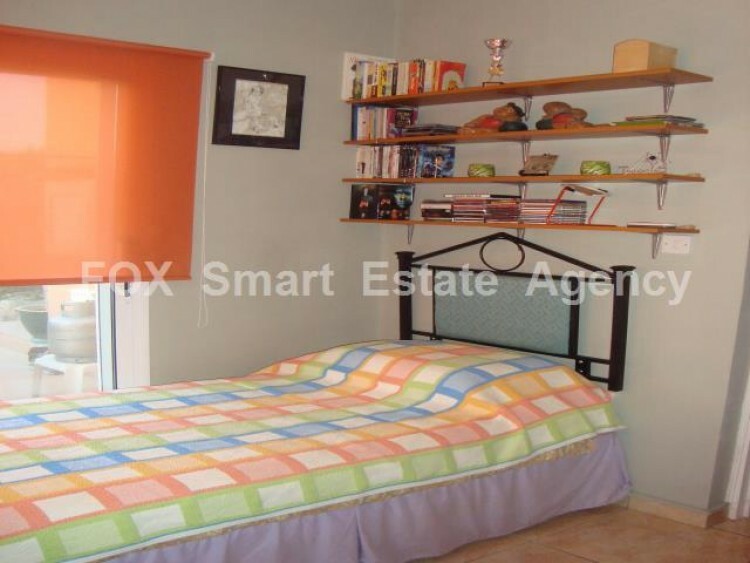 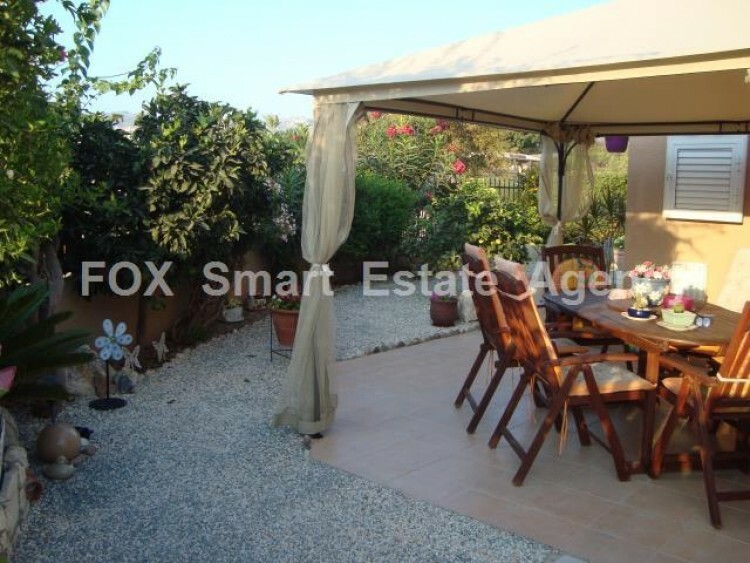 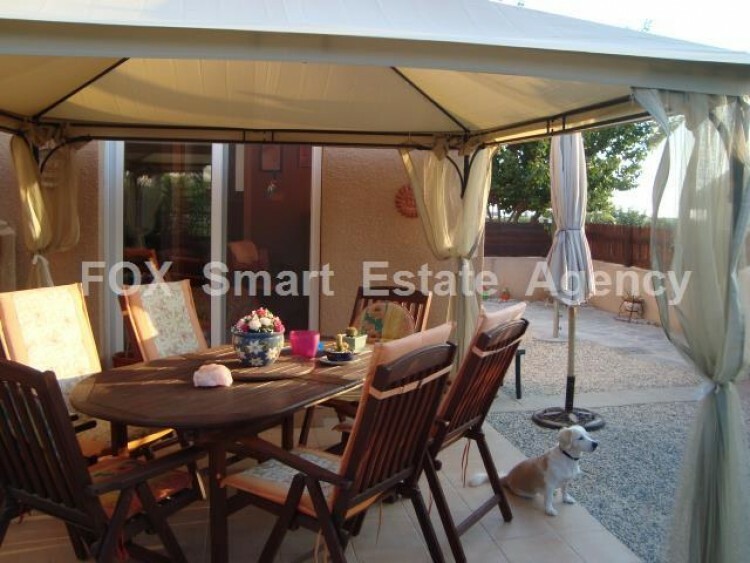 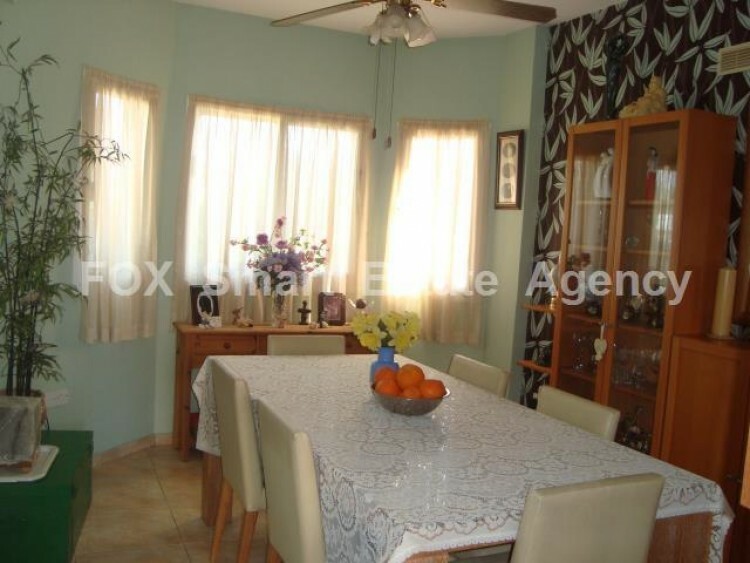 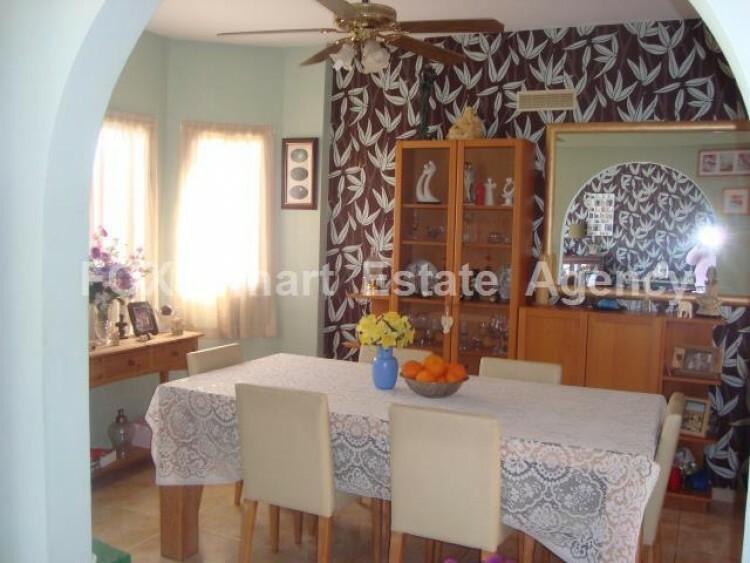 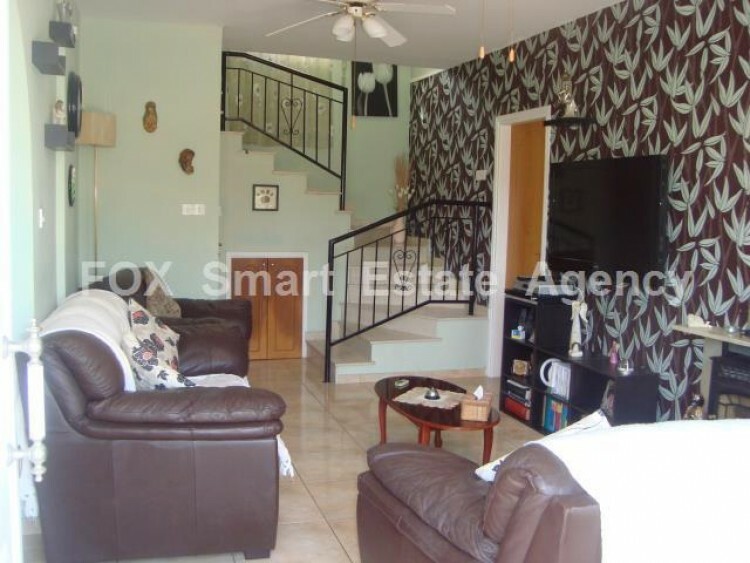 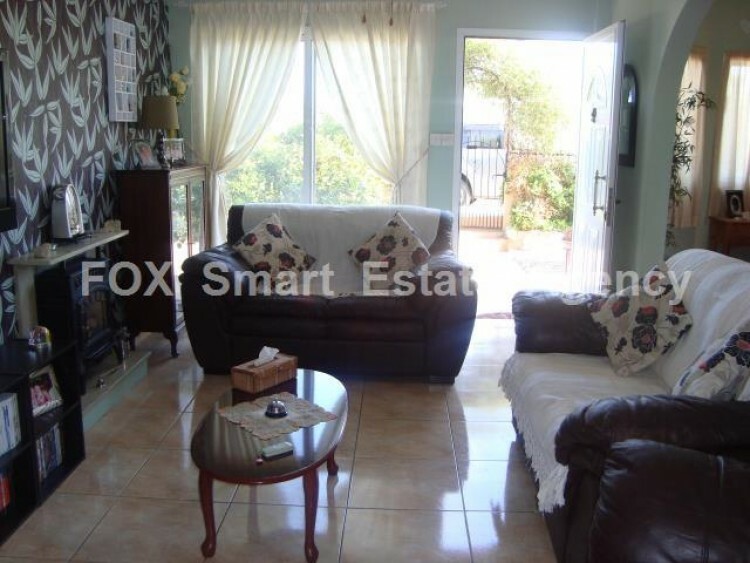 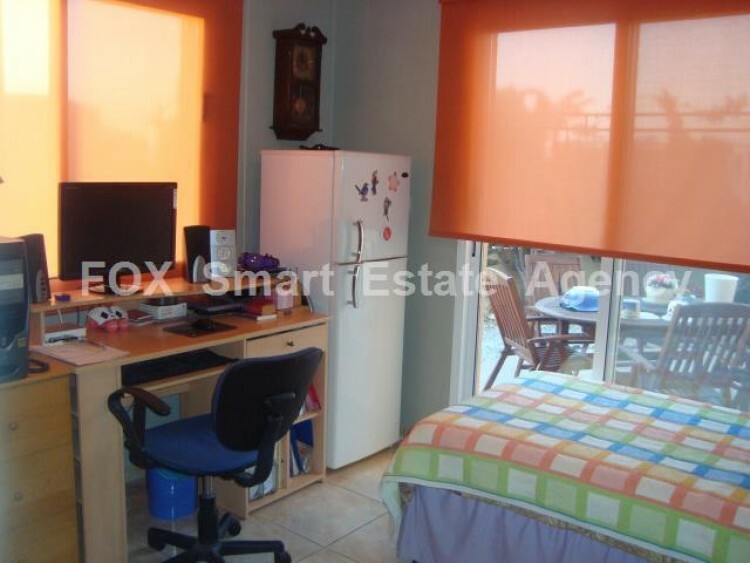 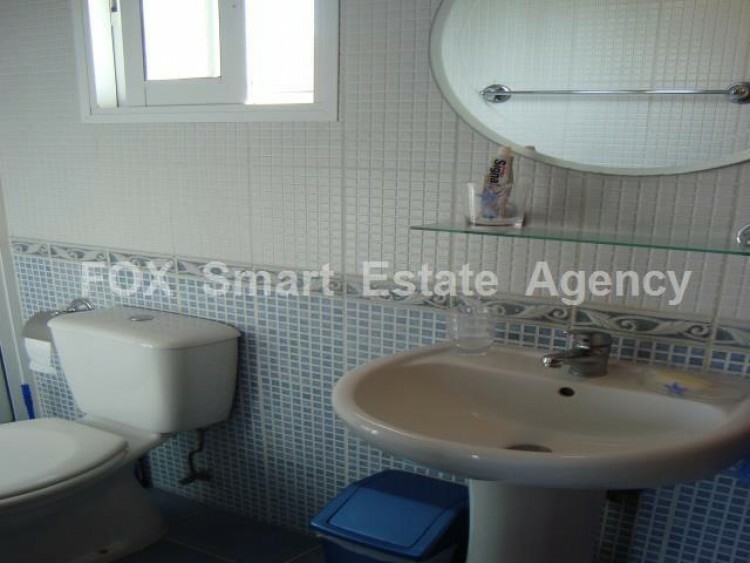 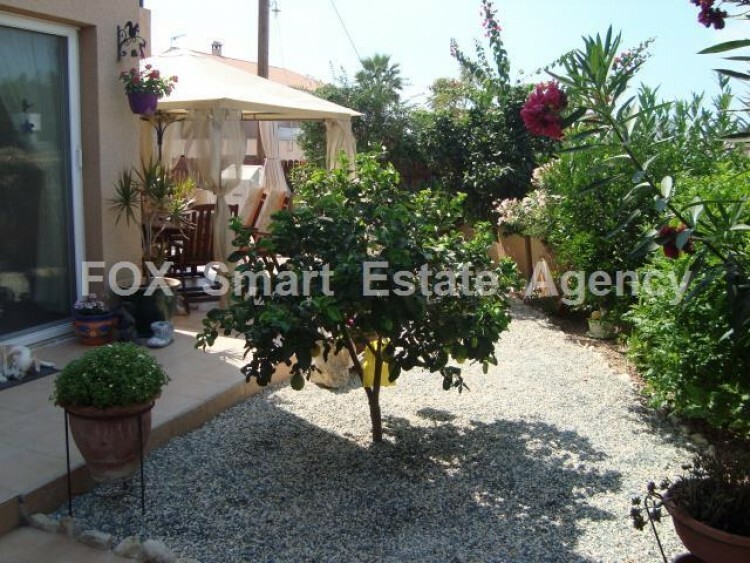 This is a fabulous corner plot House based in the prestigious area of Petridia, Empa, based in a quite cul-de-sac and a wonderful residential area, a few minutes to Paphos main town and Chloraka, with local schools and nurseries. 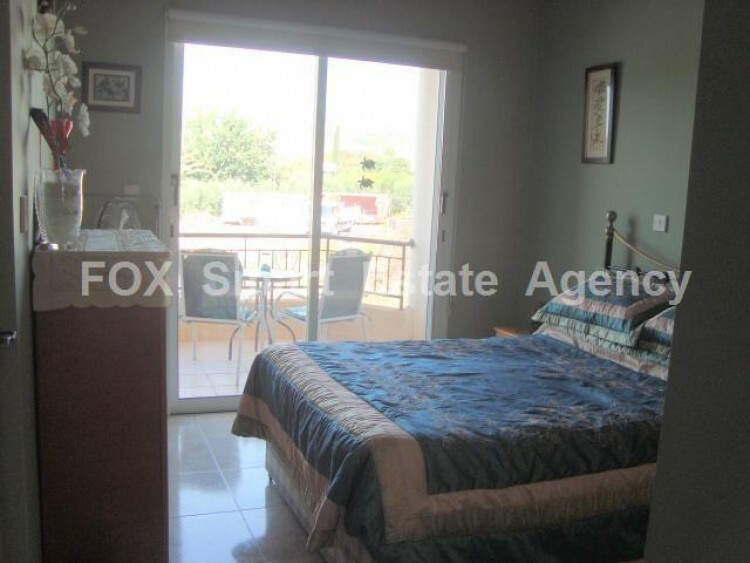 It comes to the market completely fully furnished with a contemporary design. 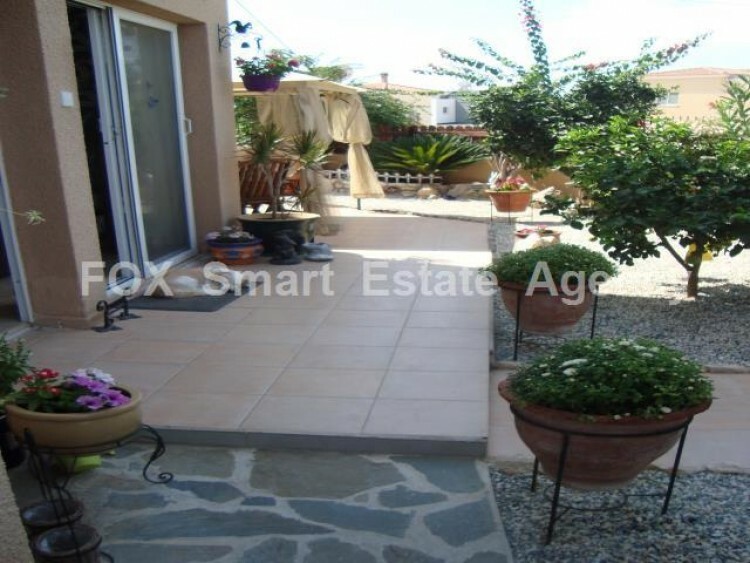 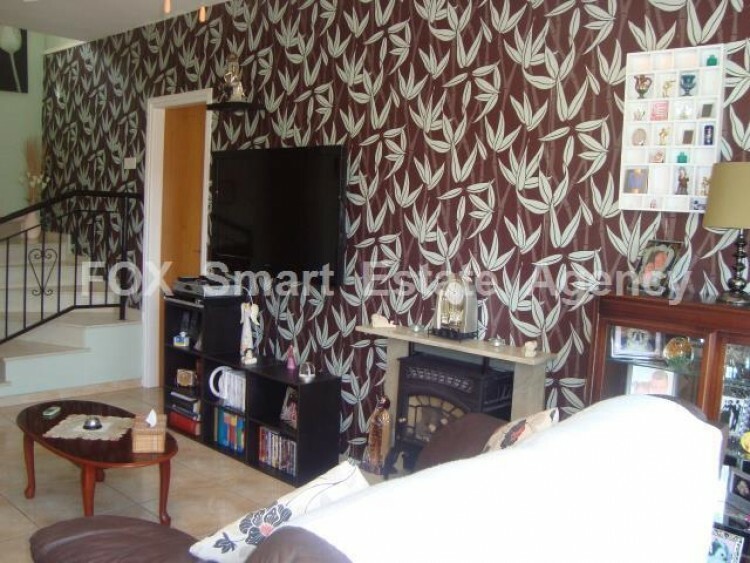 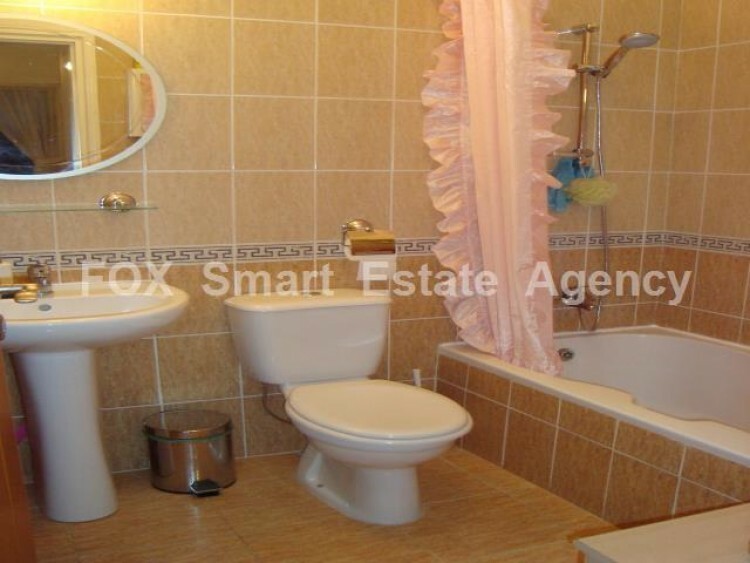 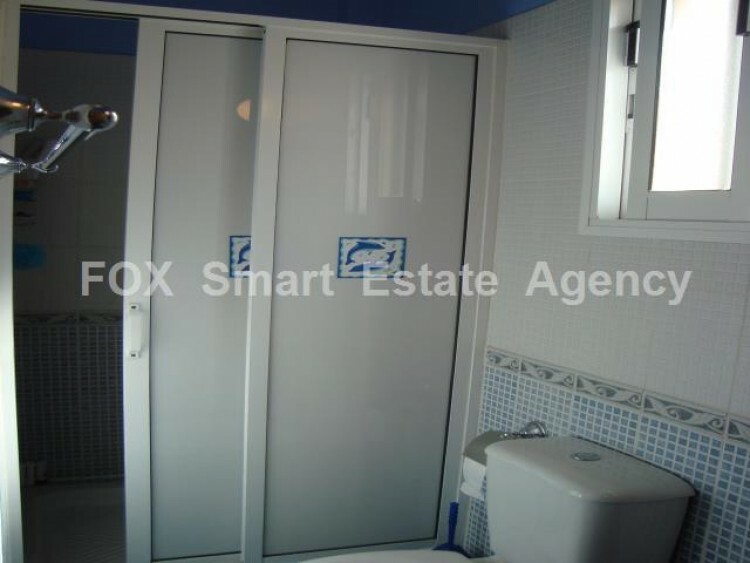 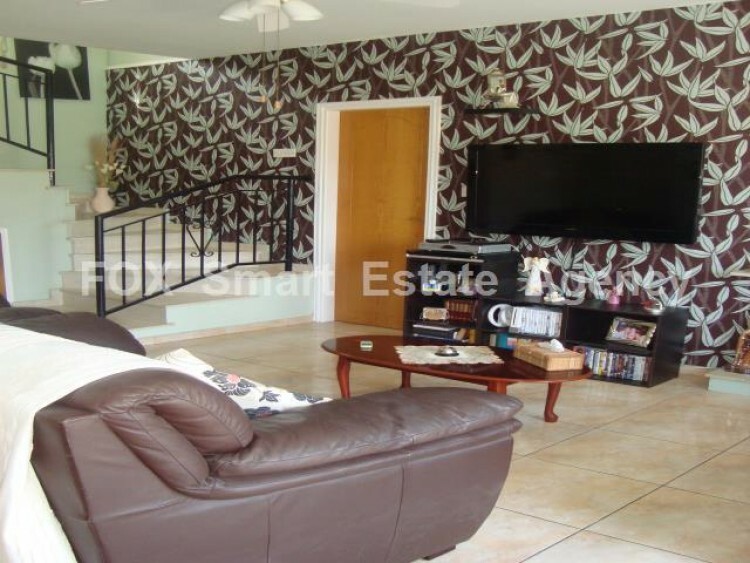 This property is on a plot size of 201m2 and covered areas 110m2. 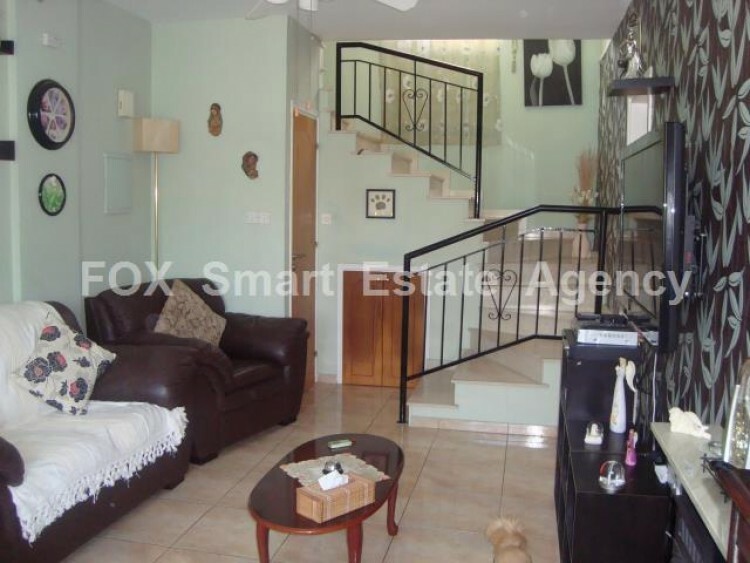 The internal area has a large living area with an open gas fireplace and ceramic surround for ease of comfort in the winter months and a separate dining area/reception for separate entertaining, there is also a separate kitchen area with a french door to the garden area. 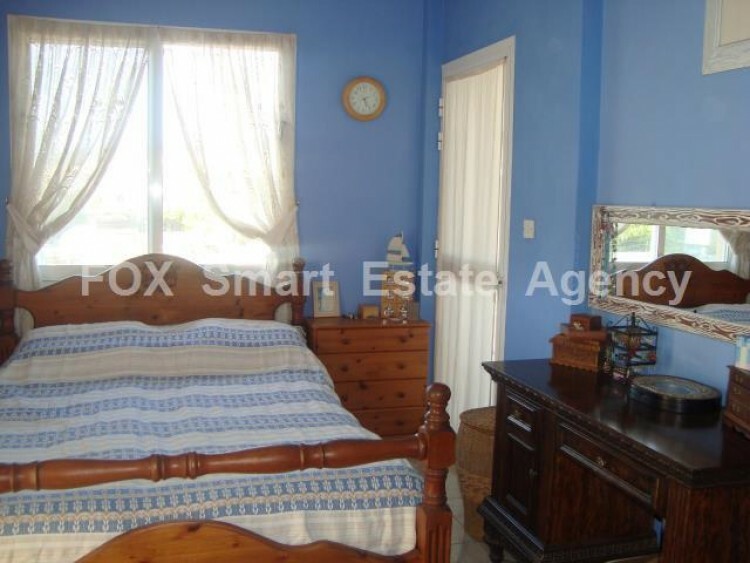 All bedrooms are en-suite with two of the bedrooms with a large veranda and balcony and exceptional sea views of the Paphos Coastline from the veranda, (a wonderful view in the evening) and a downstairs bedroom on the ground floor with patio doors to the garden. 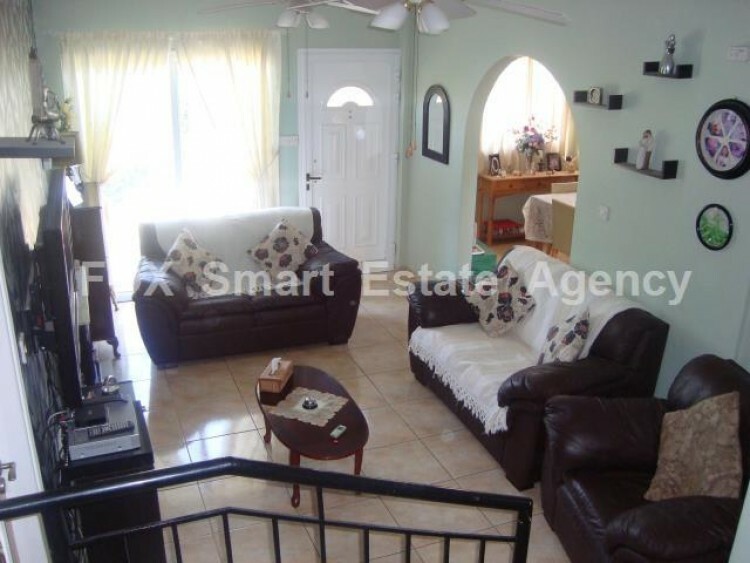 Included are fly screens, ceiling fans and all furnishings are also included in the photo&apos;s including all white goods. 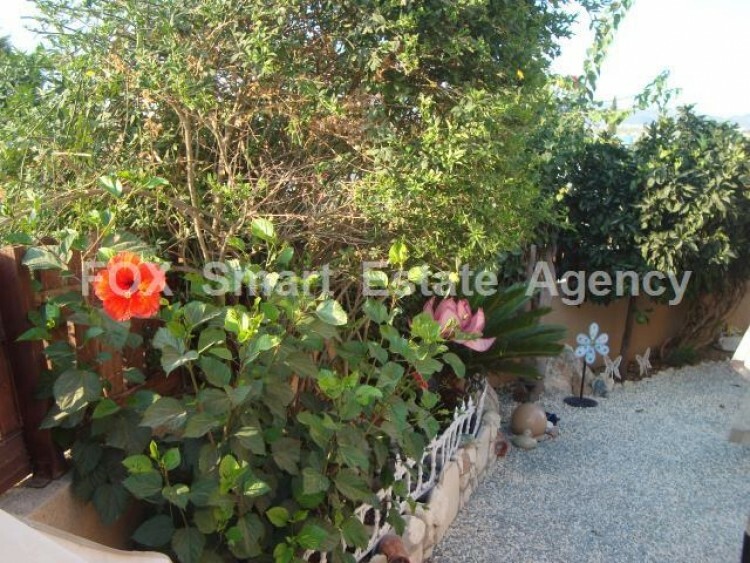 There is one covered parking space and a very large storeroom outside and a low maintenance garden with shrubs and small trees.